100% Handmade 14'' Hi-hat Cymbal in the picture is B20 Cymbals. The material is 80% copper and 20% tin. The High Quality B20 Cymbals have beautiful sound. It is Professional 14'' Drum Cymbals. 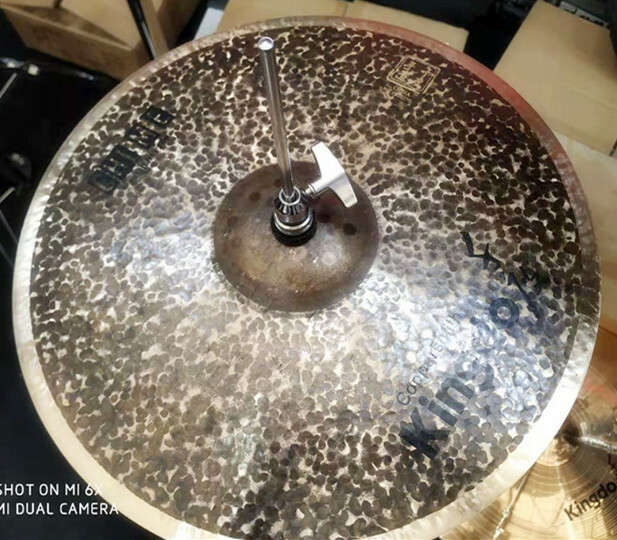 14'' Hi-hat Cymbals are sold very well. The craft of the Manual Hi-Hat Cymbals is original. The tone is dark and suitable for Jazz music. We are manufacturer of Handmade Cymbals and can produce Hi-Hat Cymbal For Drum according to your size and requirements. 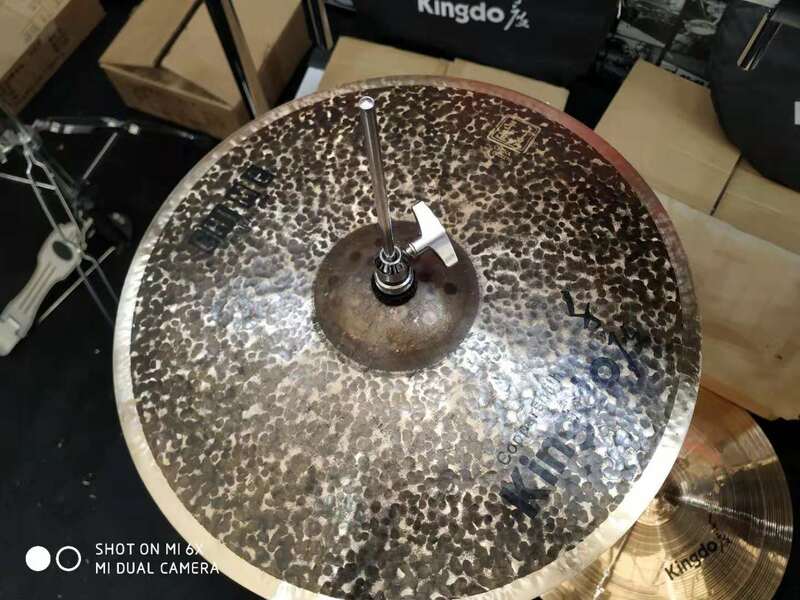 Kingdo Hi-Hat Pulse Cymbal is handmade. The Hi-Hat Cymbals in the picture belong to our CHIME series. 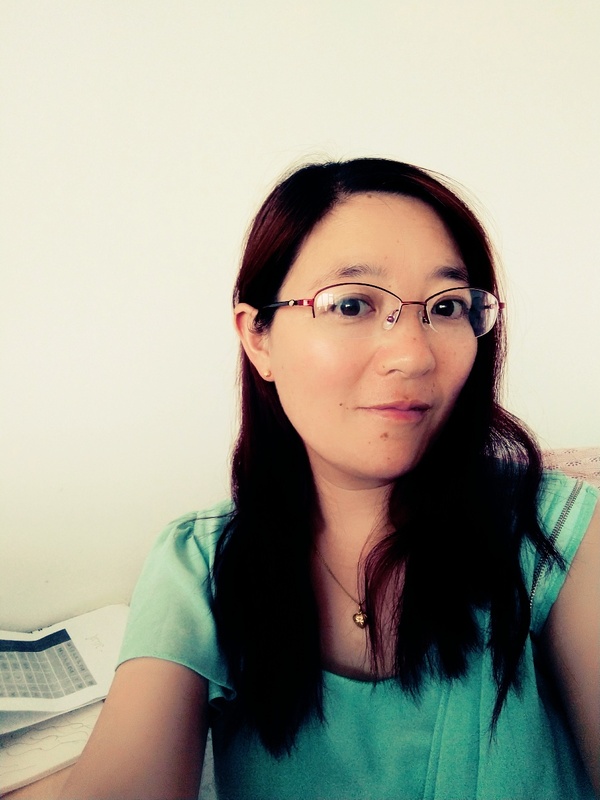 If you like, please contact with me. Thanks. Looking for ideal High Quality B20 Cymbals Manufacturer & supplier ? We have a wide selection at great prices to help you get creative. All the Professional 14'' Drum Cymbals are quality guaranteed. We are China Origin Factory of 14'' Hi-hat Cymbals. If you have any question, please feel free to contact us.